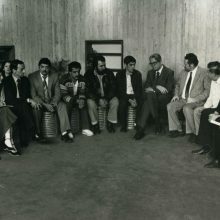 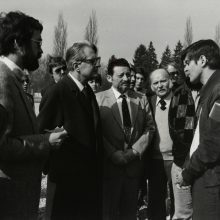 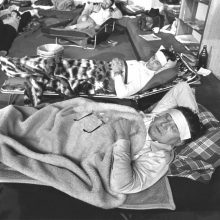 A turning point in the civil rights work was the hunger strike staged by eleven Sinti and the Munich social worker Uta Horstmann at the Church of Reconciliation on the grounds of the former Dachau concentration camp during Easter 1980. 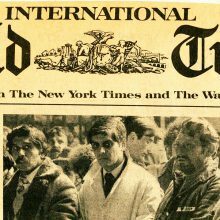 The incident gained widespread coverage in both the national and international media. 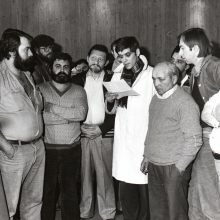 The strikers, who included three survivors of concentration camps, received a show of public solidarity on a broad scale. 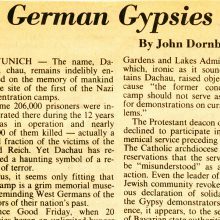 They called for society to reappraise the Nazi genocide perpetrated on the Sinti and Roma. 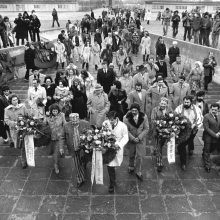 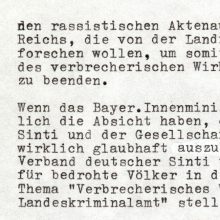 They were particularly concerned with the whereabouts of the Nazi ‘gypsy files’ and the ongoing discriminatory registration of Sinti and Roma by the justice system and the police authorities. 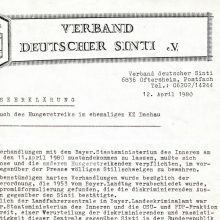 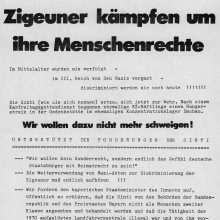 After seven days of the hunger strike, the Bavarian Ministry of the Interior finally relented and acknowledged publicly that any form of discrimination against the Sinti and Roma had to be abolished. 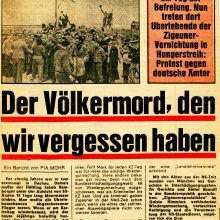 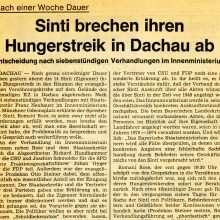 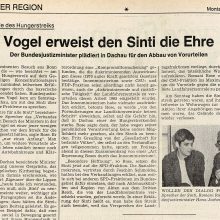 Tagesschau, 4 April 1980 Report on the start of the hunger strike in Dachau.